Thinkpositive.gr is the online store for the exhibition, distribution and sale of products, via the Internet, of the general partnership company under the name “G. FILIPPAS AND CO. ” which is based in Greece, Anargyroi Artas. Think + undertakes the obligation of informing all users about any changes through the website of our e-shop. Think + reserves the right to renew or modify unilaterally these terms and conditions of transactions made through its online store in accordance with its needs and business ethics. Any changing of terms does not include orders that are already in progress. Any user can browse the thinkpositive.gr online store without giving any personal information. The cases, under which we will need some personal information (name, e-mail address, product shipping address, telephone, etc.) are typically cases of processing your order. The personal data that you declare in the online store are used strictly for the sole purpose of serving your order, communicating, improving the services provided and cannot be used by third parties or granted to third parties (the only exception as provided by the Law, is the case of competent authorities ). The online store operates in accordance with applicable Greek and EU laws and keeps your personal data secure for as long as you are enrolled in an e-shop service. After any termination of your transaction with us all data are deleted. At any time you could change (if necessary) any of your personal information you have disclosed to us and also you could limit or cancel the use of any of your personal data by completing the relevant online form. In any case, we inform you of your rights of access and opposition according to Articles 12 and 13 of Law 2472/1997. The online store thinkpositive.gr is allowed to occasionally inform you of the availability of similar products and services, through your email address. However, if you do not wish to receive such email messages, you can send your request to info@thinkpositive.gr. The online store uses Secure Sockets Layer (SSL) technology. This particular SSL (Secure Sockets Layer) protocol is the up-to-date world standard for web site certification. With this technology, all the data you submit to our site is encrypted before it comes online, protecting personal information during transportation. Additionally, all information sent under the SSL protocol is protected by a mechanism that automatically verifies whether the data has been changed during transport. Encryption is essentially a way of encoding the information until it reaches its recipient, which will be able to decode it using the appropriate key. 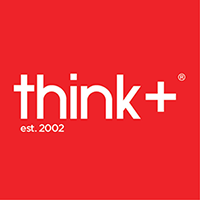 An additional measure towards your personal security is your user name and password, which you obtain when you become a member of thinkpositive.gr. Using this method every time you browse thinkpositive.gr you can be sure that your personal data are absolutely secure. While you are ordering, and if you are logged in with your user name and password in our online store, communication between your computer and our systems is encrypted using a 128bits key. This means than every time you send information to our system, your browser encrypts it first using a 128-bit key and then sends it to the internet. Your user name and password are personal information and you should treat them the same way you do with the pin of your credit card. You should not give them to any other person so as to avoid the risk of making these data known to third parties, strangers to you. In case you pass these date (user name and password) to others this is your own and fully responsibility. Τhink + is committed to the completeness and validity of the information of the products available for sale. You can get information about each product by following the search instructions listed on our web pages and clicking on the corresponding product, subject to any typographical errors that have slipped our attention or that have occurred without our intension or due to site interruptions for technical or other reasons. For all the products of our online store there are indications of their availability. In any case it must be made clear that the delivery times of your order depend on the availability of the products in our warehouses. In case the product is not available, you will be informed in time about its unavailability. The web site and all its content (photos, texts, graphics, services, products, names, images, logos and distinctive marks representing think + and its online store) are intellectual property of the company and are protected in accordance with the relevant provisions of Greek law .Therefore, any use of the above is prohibited except in the case of the relevant written permission of think +. On the pages of our e-shop you will find information related to the process and steps in order to start and complete your order. You will receive useful tips for identifying and correcting potential errors when registering your order (eg regarding type, quantity, payment method, etc.). Upon completion of your order, we will send you an e-mail with the confirmation of your order receipt, followed by a subsequent e-mail with which we will notify you of the shipment of your order. In all cases where you wish to return or replace the product you have purchased, you must inform us within seven (7) days of receipt, by sending an email message to our email address info@thinkpositive.gr . In this email message you should include your order code, your name and phone number and also the reason for the return or replacement. Once we receive and accept your package, we will contact you for confirmation. Our online shop thinkpositive.gr does not refund. The customer when returning or replacing a product has the options of either choose any other product or be credited for a next purchase within 6 months. The customer is entitled to request change, refund or replacement only once after the product has been purchased. The return of the products should be done only by courier, which our company will suggest. The shipping charges will be charged to the customer unless the product received by the customer was originally defective. For any order cancellation before shipment and courier delivery you must contact us within 2 days of the day of your order at our email address: info@thinkpositive.gr indicating your name and your order number. Τhink + and its online store provide users with the potentiality to select their periodic information about new products available on the market and other offers, payment arrangements, etc. by sending promotional and informational messages to their e-mail address. The online store will not misuse the above service. If you do not wish to receive any newsletters or wish to be totally unsubscribed from our think + newsletter, please let us know by using the e-shop contact form or choose to delete from the list at the end of each newsletter.